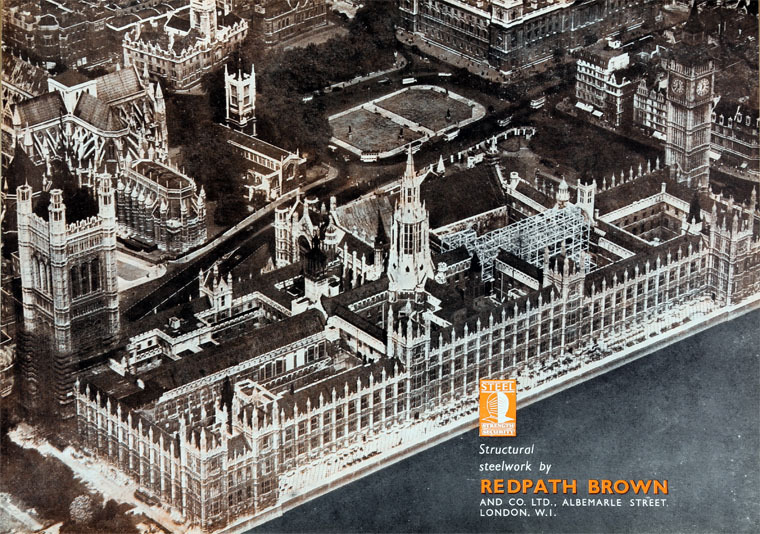 1802 Company founded as Redpath and Brown, wholesale ironmongers, nail makers and iron merchants, by John Redpath and John Brown. 1820 the style of the firm was altered to Redpath, Brown and Company, when Mr. James Marshall was made a partner. 1860 Mr Marshall's nephew, John Cowan, joined the firm as an apprentice. 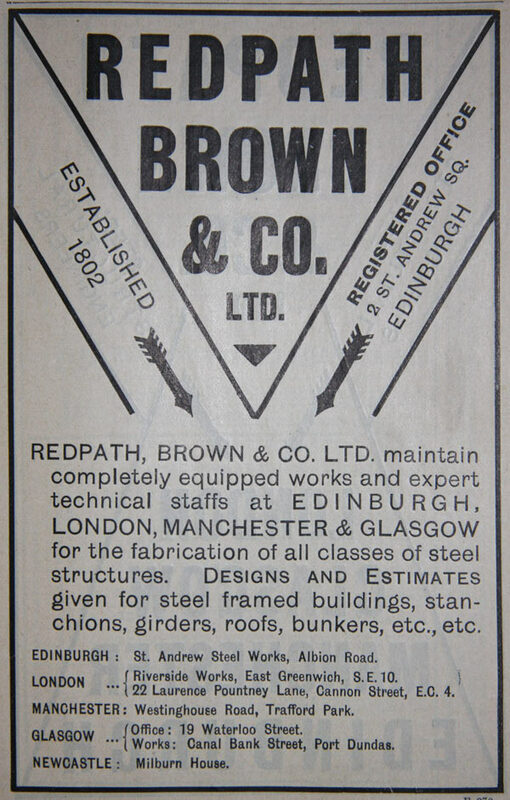 1880 Opened a department for iron constructional work such as beams and roof trusses. 1885 Introduced mild steel rolled joists. 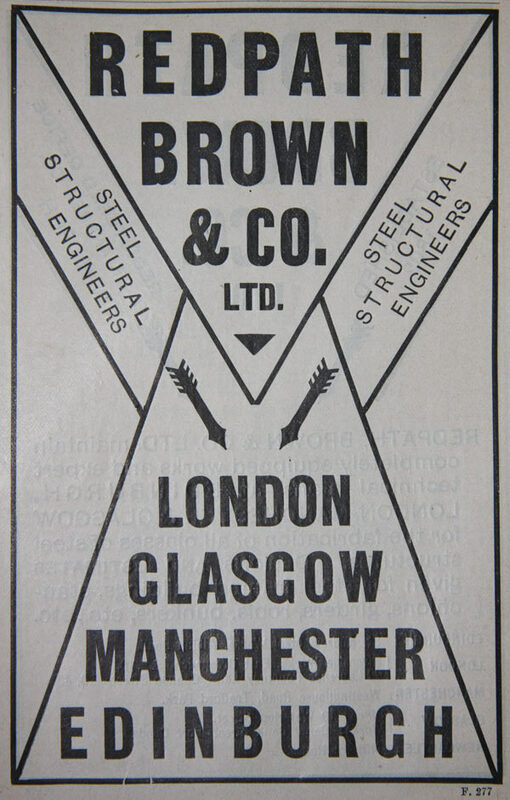 1886 made some steel joist compound girders, the first in Scotland. 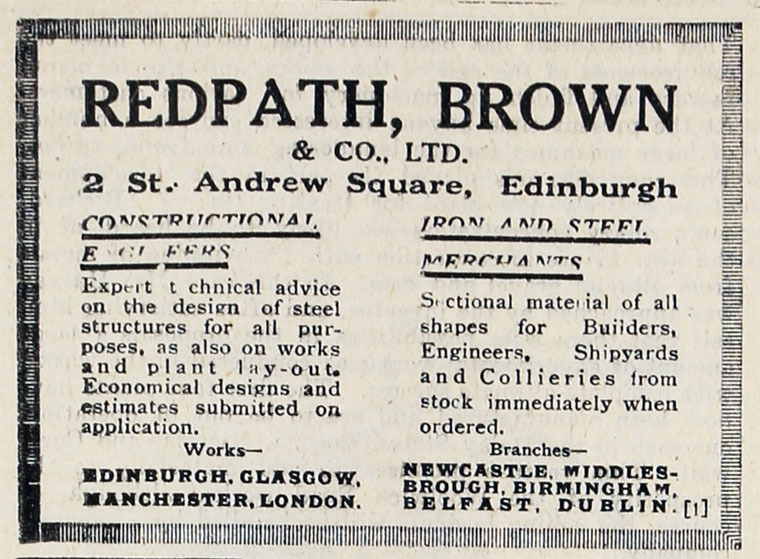 1896 Acquired site for the St. Andrew Steel Works in Edinburgh. 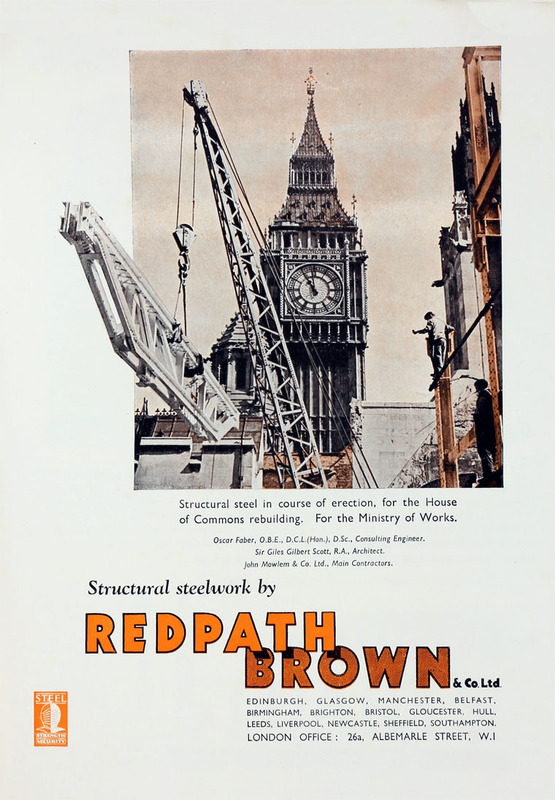 1923 Bolckow, Vaughan and Co acquired an "important interest" in Redpath, Brown and Co, makers of structural steel, with works in London, Manchester, Edinburgh, Glasgow, in order to secure an outlet for finished steel. 1954 Dorman Long and Company became a holding company on 2 October. The Holding and Realization Agency sold all of the shares in the company to the public.